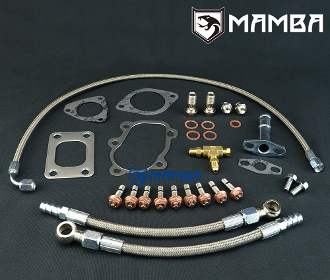 1 x 70cm Str-90Deg 4AN Oil Feed Line Kit with 1.0mm Restrictor & 1/8BSPT Tee. 2 x 25cm 6AN Big Water Line Kit. We can make custom line kit / Install Kit.